Wendi graduated from the John Marshall Law School, in Chicago, IL, in 1990, and established Wendi L. Hall-Gonzales, P.A. in Palm Harbor, FL, in 1991. She quickly discovered her passion for helping individuals through the very emotional and difficult process of divorce. Wendi believes that this passion is truly what she was called upon to do in her life and that everyone deserves to be heard. She believes in strong family values and that the best interests of the children should be the paramount issue. She believes that men and women respond differently when forced with this difficult situation and she strives to provide excellent legal representation with assurance, understanding and most of all hope. 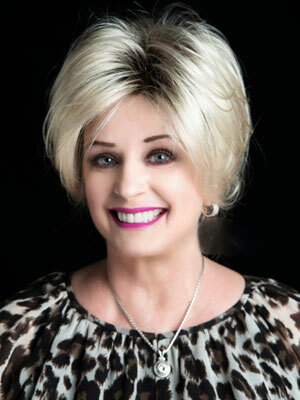 Licensed to practice law in the State of Florida since 1991, Wendi quickly discovered her passion for helping individuals through the very emotional and difficult process of dissolution of marriage. If you are in need of an experienced and knowledgeable family law attorney or divorce attorney in Florida, you can be assured that Wendi understands that divorce and family law matters require a level of compassion and personal attention that goes beyond that expected in other areas of law. Seeing a need in Pinellas, Pasco, Hernando and Hillsborough Counties for individuals involved in family law cases to have access to assistance with attempting to resolve their family law matters, Wendi became Florida Supreme Court certified as a Family and County Court mediator in 2007. Generally, mediations are scheduled for 3 hours in our office. We are happy to schedule a mediation at any location, however there is a charge for travel time outside of our office. Morning mediations begin at 9:00 a.m. and afternoon mediations begin at 1:30 p.m. We are happy to schedule an alternative time if needed. Please contact our office at (727) 781-8803 if you wish to schedule a mediation or you have any questions. Wendi is also licensed to practice in Federal District Court for the Middle District of Florida.